Death is stalking The City. From out of the catacombs, a deadly monster has arisen. Unfortunately for alchemist’s apprentice Remy the Rat Boy, his master is away and it’s up to Remy to discover the nature of the monster and put an end to its killing rampage. His search for answers takes him high into the elegant chambers of the city’s elite, and down into long forgotten ruins, into depths untraveled and unimagined for centuries. 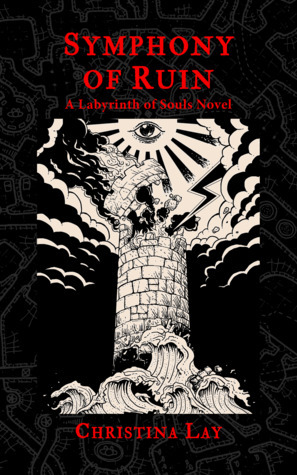 Lost in the ancient ruins with only ghosts and creatures of the darkness for companionship, Remy must use every ounce of wit and conjure every scrap of magic at his disposal in order to survive the labyrinth and save The City from its shadow self. Death made its nightly rounds of the old quarter. Skeletal toes scraped the cobblestones and bones rattled in the keening wind blowing down from the steppes. The scythe of oblivion spared no one; man, woman or child might be snatched. This alone was reason enough to raid Master Marek’s pantry and Remy could think of several others as he cleared a space on the long table against the wall. He placed one knee on the well-worn surface and tested its strength. The table wobbled only slightly on uneven legs. “Are you sure this is a good idea?” his friend Glyn asked from behind him. “Not only is it good, it is excellent. Top notch. One of the best I’ve ever had.” Remy grabbed at the row of shelves to steady himself as he climbed up. The collection of bottles and jars rattled alarmingly. He paused as they settled. Nothing fell except a tuft of what looked like dried moss. When he’d first moved in, Remy would have needed to use a footstool to reach the tabletop and he’d have to stand on the rickety table to reach Marek’s stash of quality liquor. Now if he stretched full length, he could finger the row of colored glass bottles on the top shelf while still on his knees. Some of the bottles were filled with dyed water. He knew this because he was the one who’d drained and refilled them. His master never noticed because Marek rarely partook of the odd offerings of beet brandy, moss wine, crabapple cider and so on that his clients sometimes paid him with. No, Marek reserved his imbibing for the good stuff in the cut crystal decanter, an amber brandy he shared with Remy on Winter’s solstice, and then only by the wee thimble full. Remy remembered its heat coating his throat, the flavors of caramel, loam and wealth, and the comforting affect a mere sip had on his state of mind. That was what he needed now—comfort. Glyn had just brought him the news of their mate Abernath’s death. Abernath, a robust young man of seventeen years—the same age as Remy and Glyn—had been found dead in an alley the night before without a fresh mark on him. Remy’s long fingers tweezed the decanter toward the edge of the shelf. Glyn took an audible breath, sucking air out of the room in the process, braced to flee at the first hint of disaster. Glyn would rather face death than Master Marek in a rage. “Marek is in the Giant Mountains,” Remy assured him, voice a little pinched from the effort of stretching to his full length and a tiny bit beyond. “I’ve had no word from him for weeks. He’s not about to pop up in the middle of the night with no notice. He likes his fire to be lit and his supper warm when he returns from a long trip.” The decanter tipped forward and Remy caught it with his other hand. As he eased back his sleeve caught on a jutting handle and brought a little pot thudding to the tabletop. The pottery cracked. Something black and viscous oozed out. “Ox balls,” Remy muttered, and clambered down from the table. “What is that?” Glyn backed up as if a jinn might spring forth from the ooze. 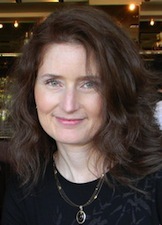 Christina Lay is primarily a writer of fantastical fiction, with frequent forays into mystery and mainstream. Many of her short stories have been published in anthologies, magazines and online. 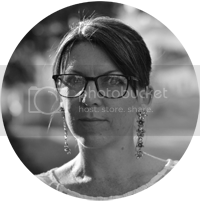 She's won five awards for her short fiction, including second place in the Writers' Digest Short Fiction competition in 2003. Her novels have also won awards, including first place in the Rupert Hughes Writing Competition at the Maui Writers Conference, First Place in the Journey Conference Novel competition, and she was a finalist in the Pacific Northwest Writers Association competition. Death is a Star, her first novel to be published, was released in February 2013. Christina was born in Eugene, Oregon and graduated from the University of Oregon in 1988 with a degree in Sociology and a minor in Political Science. She's worked a wide variety of jobs, from pastry shop clerk to computer software support to cost accounting and bookkeeping for nonprofits. Her favorite job so far has been administrative assistant in a Victorian House Museum. The goal is always to spend as much time as possible writing. For fun she likes to study languages through poetry, take way too many pictures with digital cameras, and be herded by her border collie, Lazlo.